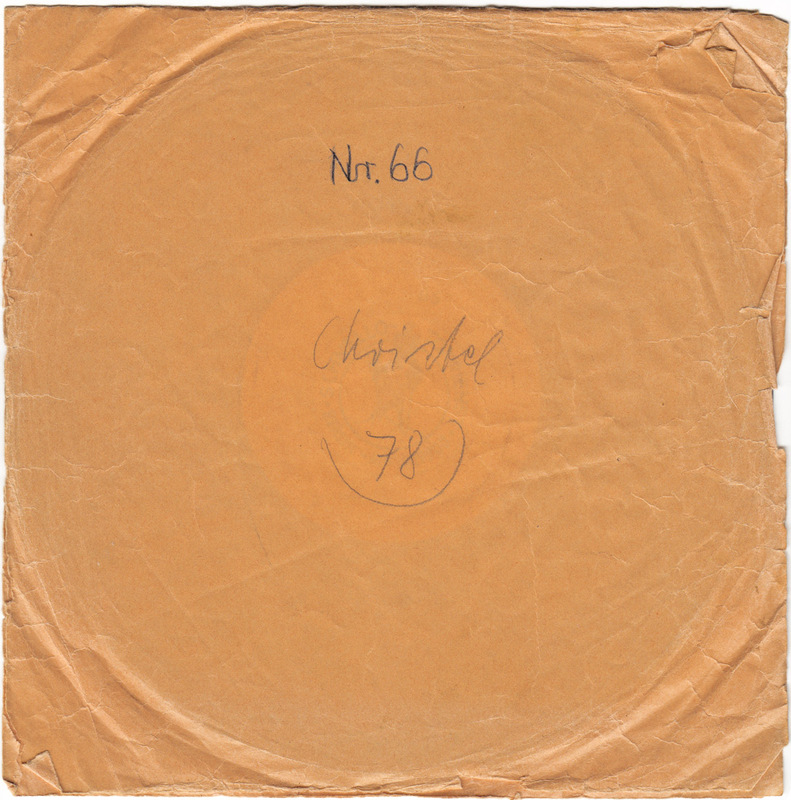 Another home recording that offers a short but intimate view into German social life in the 1950s: 43 seconds of a recital by a twelve year old girl. I suspect her name is Christel because that´s what is written on the sleeve. She wishes her father a happy birthday and tells how she first got to know and love him ten years before, after he came home from being a prisoner of war. Quite a common story in many German families in the post-war era. 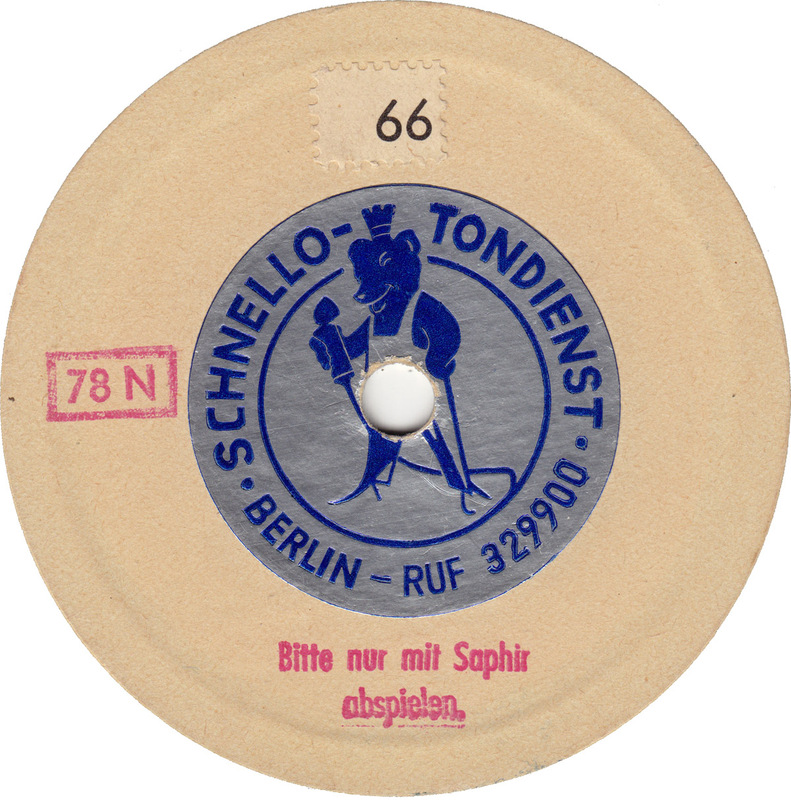 The label says that it was recorded by Schnello-Tondienst Berlin. The record is from the mid- to late 50s, because it runs on 78rpm. No further information given.